We have something very special in the Hoffman Gallery for December. Twenty-one North Coast painters, many of whom have had their works featured in galleries throughout the Northwest and across the U.S. painted plates created by 11 north coast potters. The show opens Dec. 7, the artist’s reception is Dec. 8 and the show runs through December 30. Gallery hours are 1-4 every Friday, Saturday, and Sunday. Everyone involved in creating these one-of-a-kind plates volunteered their time and talents. Bids can be placed on pieces displayed in the Gallery throughout the month, but there will also be a “buy now” price. All proceeds from the sale will help fund much-needed improvements to the Hoffman Center’s restroom and kitchenette areas. The painters include Deborah DeWit, Ben Rosenberg, Laura Ross-Paul, Liza Jones, Paul Miller, Levering Thomas, Pam Greene, Matthew Dennison, MJ Anderson, Rae Mahaffey, Lori Dillon, Sherrie Wolf, Peggy Biskar, Mardy Widman, Barbara Temple Ayres, Bonnie Kost, Sharon Gibson, Melissa Young, Lloyd Lindley II, Toni Greening, and Tom Ayres. 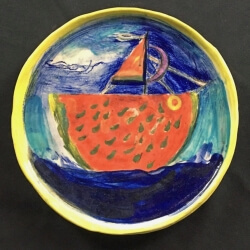 The plates were created by 11 North Coast potters, including Allan Olson, Sharon Gibson, Steven Gibson, Stacy Nuttall, Barbara Temple Ayres, Donna Miller, Carl Vandervoort, Shane Sjogren, Kathleen Larson, Kathleen Kanas, John Zogg, and Mary Roberts. Volunteers in the Hoffman Clay program organized, finished, and fired the plates. Local resident Bonnie Laing-Malcolmson is curating the show. Her background includes past President of the Oregon College of Art and Craft in Portland, Oregon, as well as curatorial positions with the Portland Art Museum. The December Gallery show will also include black and white “New Year’s Day” photos of Twin Rocks Beach by Robbie McClaran. McClaran is a fine-art photographer whose works have been shown in museums across the U.S. including the Portland Art Museum. His book will also be available for purchase at the Gallery. 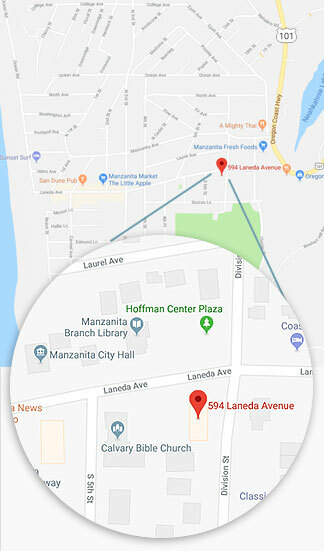 The Hoffman Center for the Arts Gallery in Manzanita will present a Plate Invitational fund-raiser and “New Year’s Day” Photographs during the month of December. The show will open Friday, Dec. 7, and run every Friday, Saturday and Sunday through Dec. 30, from 1 to 4 p.m. An Artists’ Reception will be held on Saturday, Dec. 8. We will also feature selected photographs from a book project “New Year’s Day” by Robbie McClaran. 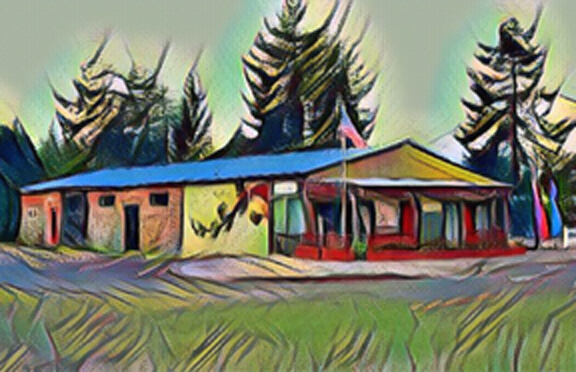 Situated on the main street in Manzanita just a few blocks west of Highway 101, the Hoffman Center Art Gallery is located across the street from the North Tillamook Library.